Don't Nuke Those Veggies (Or Your Food)! Here is a short but very important article for you to keep in mind today, especially if you are the one who does the cooking in your home. What is the best way to prepare vegetables? Steam them? Microwave them? Boil them? 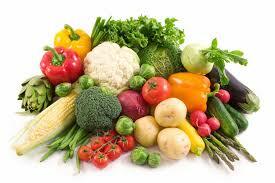 Vegetables are a key source of antioxidants ~ cancer-fighting compounds that also help prevent heart disease. The disease-fighting benefits of vegetables can be affected by the ways in which they are prepared. The Journal of the Science of Food and Agriculture reported the results of a study that involved several ways of preparing broccoli. Broccoli that was microwaved lost 97 percent of flavonoids, 74 percent of sinapics and 87 percent of caffeoyl-quinic derivatives (three different types of antioxidants). When boiled, the broccoli lost 66 percent of its flavonoids and when tossed in a pressure cooker, it lost 47 percent of its caffeoyl-quinic derivatives. However, steamed broccoli lost only 11 percent of flavonoids, 0 percent of sinapics and 8 percent of caffeoyl-quinic derivatives. Steamed vegetables do not come in direct contact with the boiling water, so their nutritional elements are not lost or boiled away. Microwave ovens heat vegetables from the inside and also use water, a combination that virtually destroys valuable antioxidants. Besides the decreased nutrient content of foods cooked or heated in microwaves, there is a host of other health-related concerns for people who consume foods cooked this way. A simple “Google” search will reveal dozens of articles on the history of this debate. At the end of the day, we are left to choose. My advice, whenever it is at all possible, choose a healthier alternative. According to the studies, steaming WINS, hands down!!! This is a great article. Thank you! I often wondered about nuking veggies or anything. No problem at all Nadia! For many, the research is quite surprising. Glad you enjoyed the article-many more to come! :) Take care.